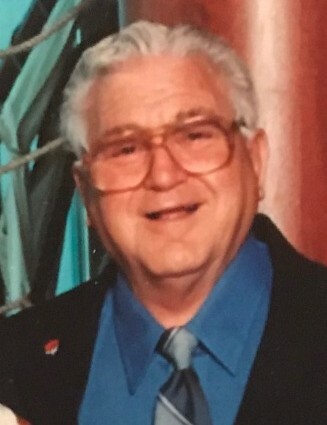 Obituary for Donald W. ("Goody") Goodwin | Paul G. Fink Funeral Home, Inc.
Donald W. “Goody” Goodwin passed away peacefully on Saturday, Nov. 17,2018,in Uniontown Hospital. Goody was born Aug. 29, 1933, at home in Mt. Braddock. He was one of 11 children of the late Grant G. and Mary C. (Russman) Goodwin. Heretired from Homestead Works of U.S. Steel after 39 years of employment. He also served briefly in the Pennsylvania National Guard. He was a member of multiple organizations: The Fraternal Order of the Eagles, American Legion,Slovak Club, Sons of Italy, and Connellsville VFW. Goody was an avid huntsman, and he also loved to garden and enjoy a beer while watching the Pittsburgh Steelers. He is survived by his beloved wife of 66 years, Shirley R. (Lowry) Goodwin.Together they raised seven children. He also is survived by daughter,Christine A. Goodwin; sons, Ronald R. Goodwin and wife Stacey; Donald W.Goodwin and wife Cindy; and David E. Goodwin and companion Gail.Additionally, he is survived by brother, Raymond E. Goodwin; sister, DeloresJ. Monahan; and many grandchildren and great grandchildren. He is preceded in death by three beloved daughters; Vicky L. Burnsworth,Deborah J. Stewart, and Diana M. Keill; his parents; brothers, George G.Goodwin, John B. Goodwin, Elmer W. Goodwin and James R. Goodwin; and sisters,Catherine I. Goodwin, Ruthella M. Reed, Ida L. Breakiron and Mary G.Whoolery. His life will forever be remembered and cherished. Family and friends will be received from 2-4 and 6-8 p.m. Tuesday and Wednesday at the Paul G. Fink Funeral Home, Inc., Connellsville. Additional visitation will be held from 9-10 a.m. Friday, the hour of the Blessing Service, with the Rev. Father Daniel Ulishney as Celebrant. Committal service and interment will follow at Dickerson Run-Union Cemetery.